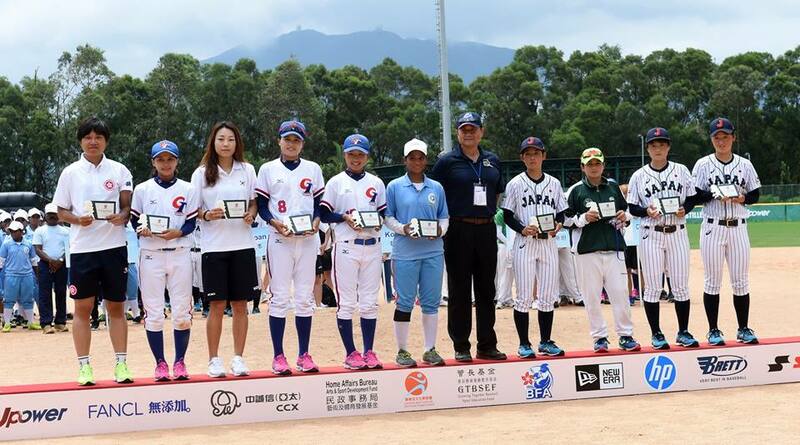 Hong Kong (BFA) - Six Women’s National Baseball Teams from Chinese Taipei, Hong Kong, India, Japan, Korea and Pakistan participated in the inaugural BFA Women’s Baseball Asian Cup in Hong Kong from September 2 to 7, 2017. 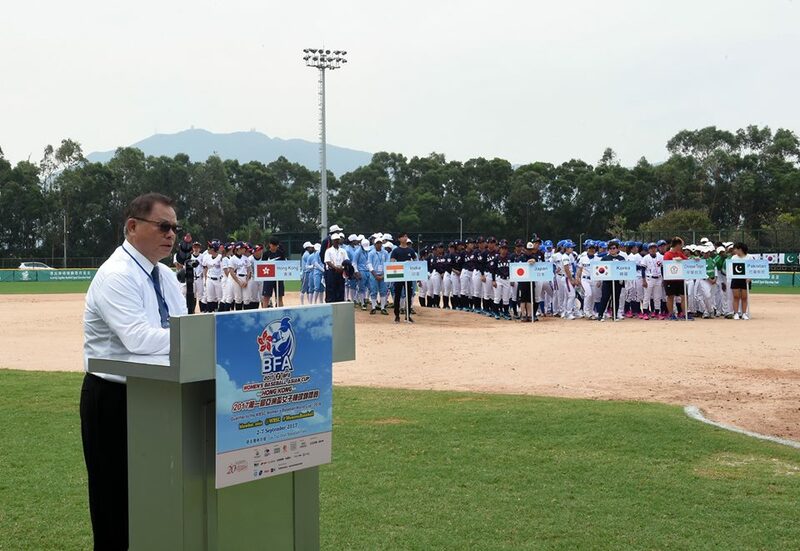 Following welcome speeches by Chairman Felix Yip and BFA Director Allan Mak of Hong Kong Baseball Association, President Tom Peng (TPE) of Baseball Federation of Asia opened the six-day Championship (photo) at the opening ceremony at Sai Tso Wan Baseball Field. President Riccardo Fraccari of World Baseball Softball Federation (WBSC) sent a message saying “Globally, women’s baseball continues to be one of our sport’s fastest growing disciplines and this newly launched Asian Cup represents a giant step toward growing women’s baseball into an Olympic event.” Guests and officials were also introduced at the ceremony, including Tournament Director Kung Fu Hao Jeff (TPE), Umpire Director Koyama Katsuhito (JPN) and Scoring Director Anna Maria Paini (ITA). The competitions were mixture of close contests as well as process of learning for some developing teams who trained together with Japanese teams after their games. One of the tight games was Hong Kong vs. Japan as Hong Kong was one swing away from causing one of the biggest upsets against World number one Japan which ultimately held on to a 2-0 lead to edge out the home side, but suffered a huge scare in the last inning at Sai Tso Wan. An ad hoc Umpire School was conducted after the end of the series.